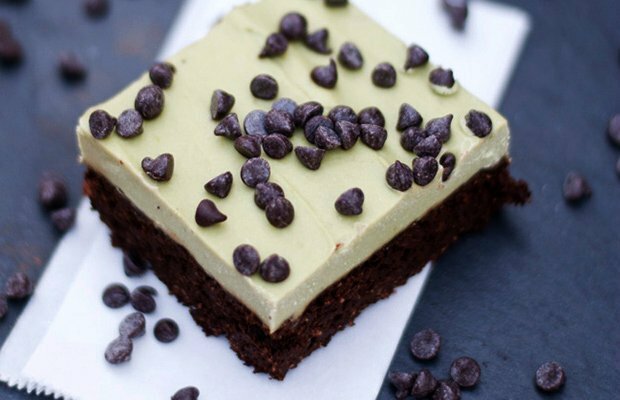 Healthy, mint flavored brownies? While this winter treat may sound too good to be true, it’s not! Be the friend that saves everyone from their post-holiday blues with these sweet treats. Full of healthy ingredients and Naturade Total Soy powder, you’ll finally be able to enjoy dessert and uphold your healthy new year resolution! Don’t worry, you can’t taste the spinach in the icing, but it will give it a light “minty” green look, making the recipe complete. This seasonal and delicious dessert is one that is healthier than what you’ll usually find at a dinner party and might taste even better as well! Indulge on this delicious treat and know that it is full of quality and healthy ingredients. This entry was posted in Recipes, Vegan Recipes and tagged healthy, healthy eating, Naturade, naturade recipe, Naturade Total Soy, naturadelife, recipe, soy protein, total soy, total soy recipe.